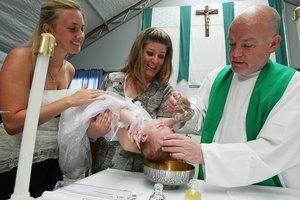 Lutherans baptize infants, children and adults. Lutheran Christians are united by their acceptance of the teachings of the reformer Martin Luther, who broke away from the Roman Catholic Church in the early 1500s because he believed its teachings had strayed too far from the Bible and the gospel message of salvation through faith. The Lutheran Church celebrates two sacraments: Baptism and communion. While confirmation is not considered a sacrament, it is a traditional rite practiced in most Lutheran churches. 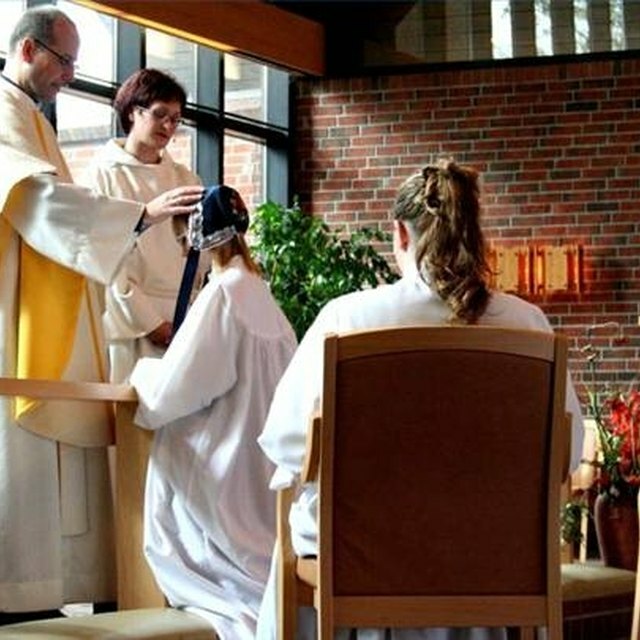 Lutherans believe God imparts his grace through the sacrament of baptism. They believe God commanded believers to be baptized, and that Jesus himself was baptized as a sign of the new life given by the Holy Spirit. Conservative and moderate Lutherans differ on the exact meaning of baptism, with conservatives emphasizing the sinful nature of man, who must be born again and brought to the saving faith through the sacrament of baptism, while moderates emphasize the belief that baptism initiates new members into the family of God. Lutherans practice infant baptism, most commonly by sprinkling with water. If an adult who has not been baptized in another Christian church wants to join the Lutheran church, she is baptized upon joining or sometime thereafter. The parents of the child who is to be baptized generally meet with the pastor for instruction on the meaning and importance of the sacrament. They choose two people to be the baby's godparents. 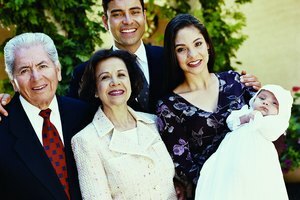 The godparents promise to help bring the child up in the faith, especially if the parents are not able to. During the baptismal liturgy, parents promise to raise the child in the faith, bring her to services and teach her the messages of the Bible. The people of the parish participate in the liturgy and agree to support the family's faith journey. The pastor lightly sprinkles water on the child's head, baptizes her "in the name of the Father and the Son and the Holy Spirit," and presents her to the congregation. The parents are often given a candle as a symbol of Christ as the light of the world. The purpose of confirmation, according to the Evangelical Lutheran Church in America, is "to identify more deeply with the Christian community and participate more fully in its mission." Lutherans celebrate confirmation as a symbol of a young person's choice to affirm his baptism and his faith. They do not see confirmation as something God commanded in the way God commanded to Christians celebrate baptism and communion, but they see it as an important rite and a way to help mold a young person's faith. Students who are to be confirmed meet with the pastor or youth minister for instructions in the faith for a period of several months before the ceremony. They study the Bible, the Lutheran catechism and church doctrine. Before this, the students have usually attended years of religious instruction from lay teachers during Sunday school. On the day of confirmation, those who are to be confirmed don special robes and walk in a procession to the altar. They participate in a liturgy in which they affirm their baptism and their faith and express their desire to serve God and other people. Confirmation celebrations often include a special dinner with family and gifts. Wisconsin Evangelical Lutheran Church: What is Lutheran Confirmation? 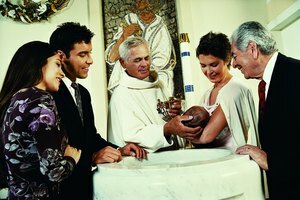 Evangelical Lutheran Church in America: What are Appropriate Baptismal Practices? Mulroney, Janet. "Lutheran Traditions for Baptism & Confirmation." Synonym, https://classroom.synonym.com/lutheran-traditions-baptism-confirmation-7343.html. Accessed 25 April 2019.